Siemens’ Product Lifecycle Management (PLM) software Teamcenter has been selected by global cosmetics company L’Oréal S.A. as its corporate product data management system. Teamcenter will be used by everyone involved in L’Oréal’s product development processes, and will help optimise its packaging development processes, reduce time-to-market, and improve product innovation and quality. According to a media release, L’Oréal Group Development and Packaging Director Philippe Thuvien said Siemens PLM Software’s Teamcenter system will help optimise their engineering and manufacturing processes. “It will allow us to share packaging configurations and innovative ideas between different technical departments, standardise specifications, and thus help to reduce time and product cost. We will also be able to capture and manage our corporate know-how, creating a solid foundation for a future of innovation and growth,” Mr Thuvien said. 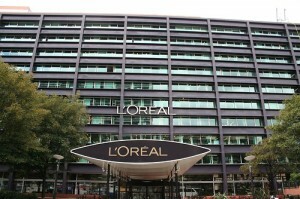 L’Oréal Group Operations CIO Martin Rhein said Siemens’ PLM software was chosen after an extensive review of other PLM providers in the market. Meanwhile Siemens PLM Software president and CEO Chuck Grindstaff regards L’Oréal’s decision to choose Teamcenter as “welcome validation” of the need for an open PLM platform for the industry. “Siemens PLM Software is pleased to partner with L’Oréal to deliver a solution that enhances innovation and manages complexity, both of which are requirements for today’s market,” Mr Grindstaff said. Austraplas – Leading Plastic Manufacturers in Perth : Austraplas is one of the Perth’s most competitive and innovative plastic manufacturers. We produce any size of plastic manufacturing order. Contact us today!